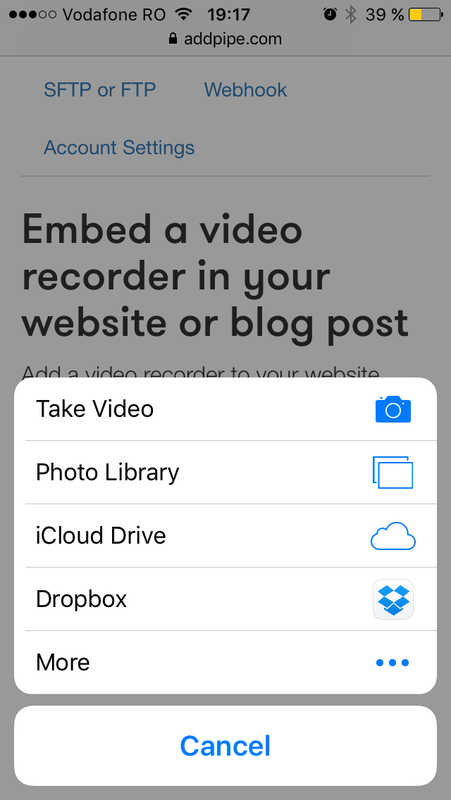 iOS 9 is scheduled to be released this autumn and it brings many changes, but today we’re going to look at one of the lesser known ones: the change to the HTML Media Capture prompt used by Safari for video. 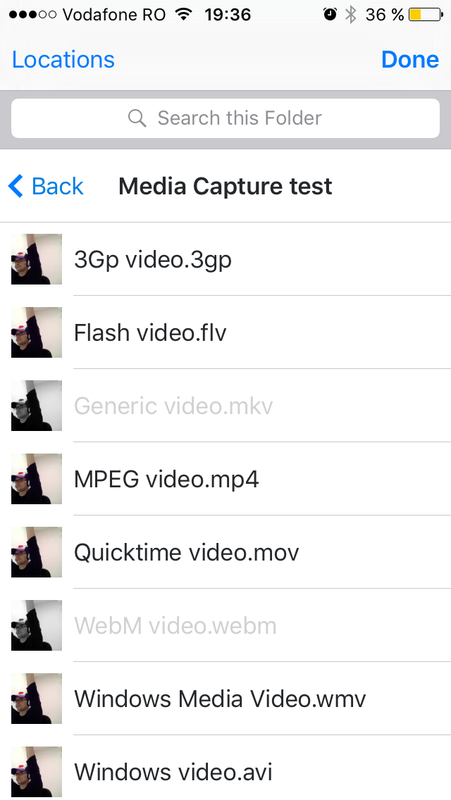 For those who don’t know Media Capture is the standard way to capture video, audio or a photo on your website from mobile devices. 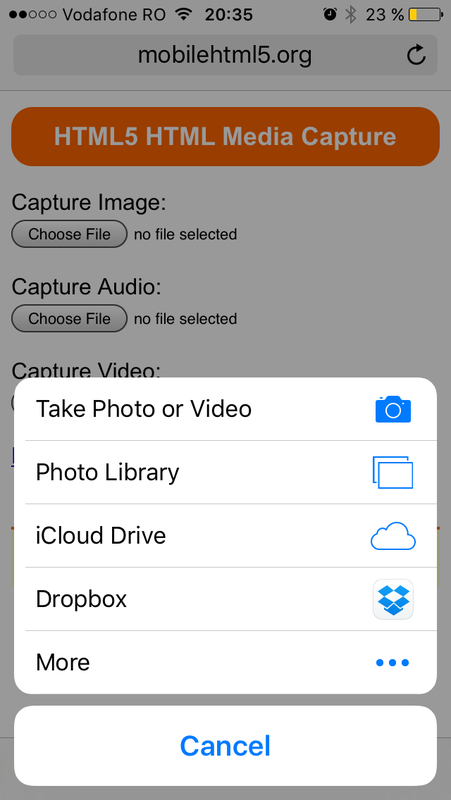 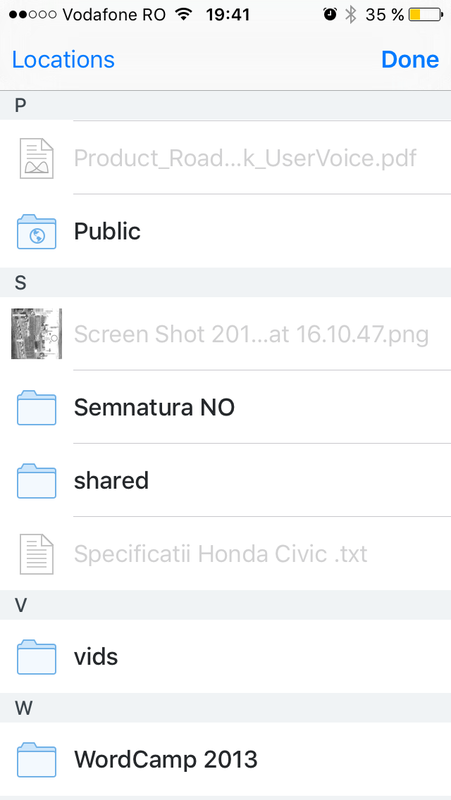 Take Video opened up the Camera app in video mode (with no option to switch to photo) while the Photo Library option opened the Photos app showing all albums containing videos. 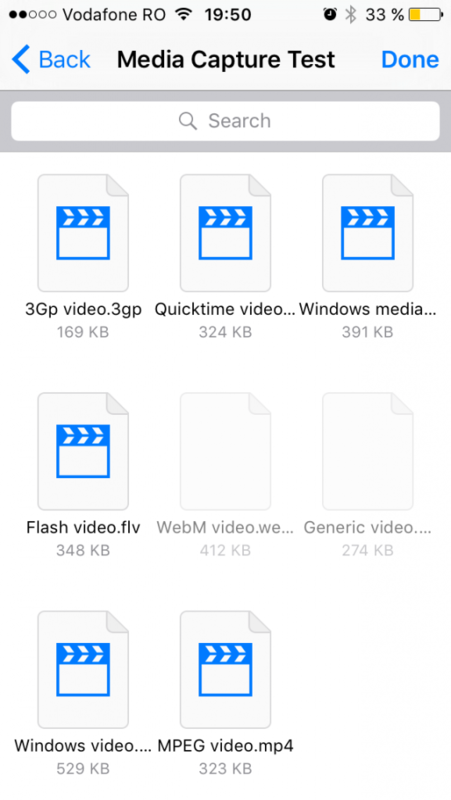 To test what video files are supported I’ve placed 8 different video files in a Dropbox folder and tried to upload them to Pipe using HTML5’s Media Capture standard. 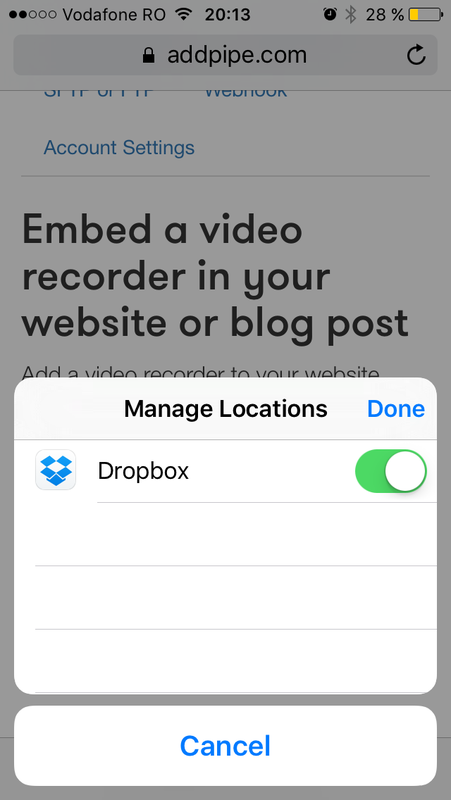 Others that I have not tested might be supported too. 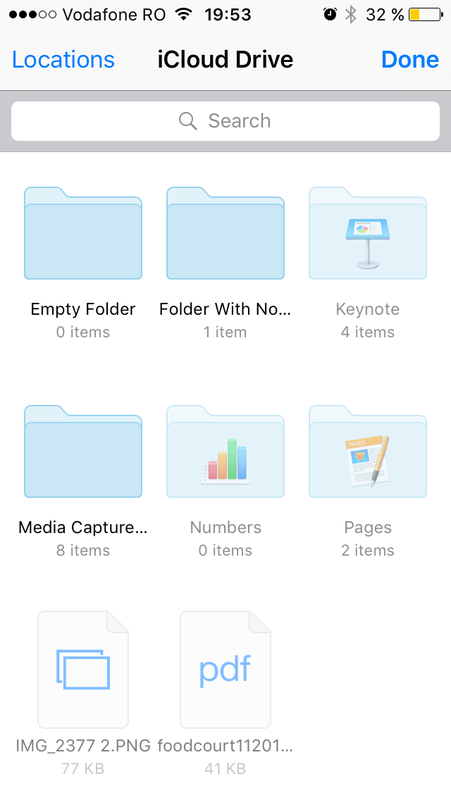 Notice how Dropbox created a preview image for all of them? 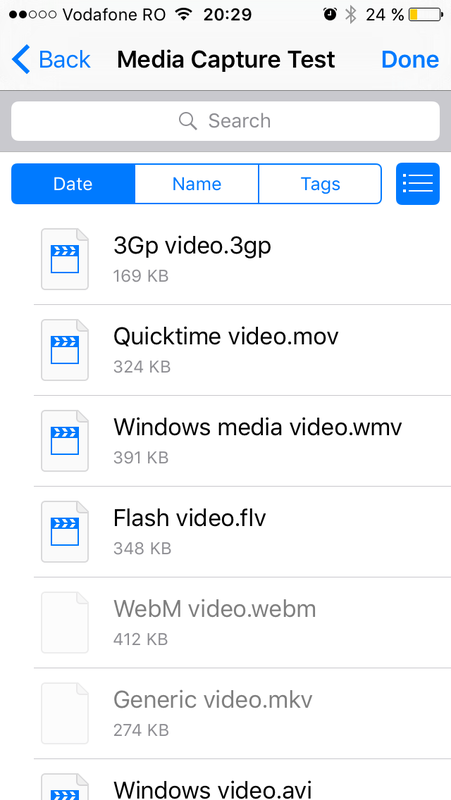 Unfortunately capturing audio only still doesn’t work with the iOS 9 Safari prompt allowing you to select a video or a photo which is strange because Apple’s Voice Memos app is included by default since iOS3.